(Reuters): A purported audio tape of Osama bin Laden aired on Al Jazeera television claimed responsibility for a December 25 attempted bombing of a U.S.-bound plane, and the al Qaeda leader vowed to continue attacks on the United States. 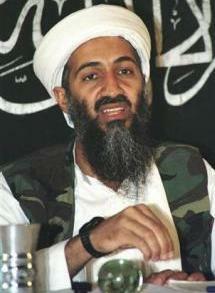 "The message sent to you with the attempt by the hero Nigerian Umar Farouk Abdulmutallab is a confirmation of our previous message conveyed by the heroes of September 11," bin Laden said on the tape, aired on Sunday. "If it was possible to carry our messages to you by words we wouldn’t have carried them to you by planes," bin Laden added in a message he said was directed "from Osama to (U.S. President Barack) Obama."